The Don Byron Quartet: Edward Simon (piano), Kenny Davis (bass), Don Byron and Billy Hart (drums) on stage at the Triple Door as the Earshot Jazz Festival carries on in its last week. The Don Byron Quartet performance was one of the most enjoyable of the Festival so far. Maybe it was the way he sang a Hank Williams tune or how he referenced one of his compositions to the 1968 Olympics high jumper who first took the plunge backwards, but the performance felt very satisfying and complete. I like his eyeglasses too. Conceived as a means of expressing gratitude to Lester Young, Don Byron’s 2004 release Ivey-Divey convened an all-star trio with Jason Moran and Jack DeJohnette to revisit and reinterpret some of Lester Young’s finest works. Taking its name, orchestration, and much of its repertoire from Young’s great 1940s trio with pianist Nat King Cole and drummer Buddy Rich, Ivey-Divey was immediately recognized as a masterwork. Reflecting Young’s gifts as a communicator, Byron’s ensemble combines the same unbridled joy and enthusiasm of Young’s classic lineup with the innovations and technical advances of the last half century. 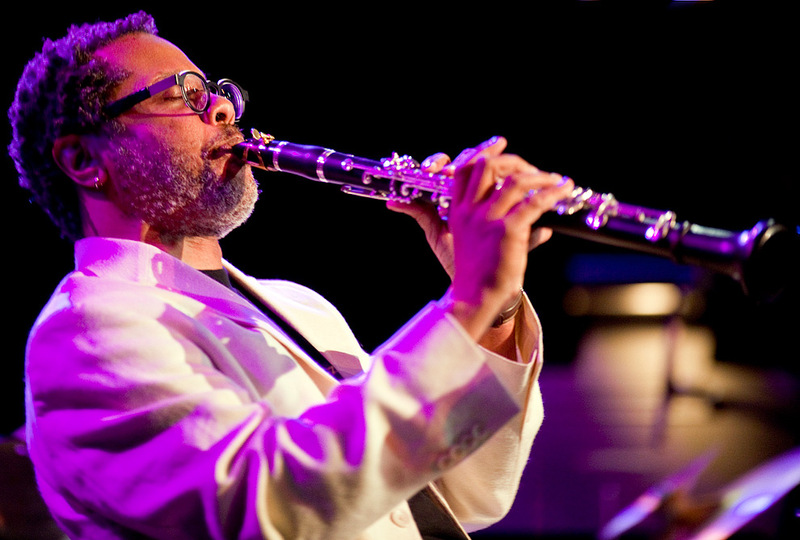 With Byron playing clarinet and tenor sax, this expanded version of the Ivey-Divey project features Edward Simon (piano), Kenny Davis (bass), and Billy Hart (drums). As with many of Byron’s diverse forays, the Ivey-Divey Quartet is a wholly compelling and at times unpredictable vehicle for Byron and his peers to let loose. From the Earshot Jazz Festival guide. Photographs by Seattle photographer Daniel Sheehan, a photojournalist specializing in jazz photography and portrait photography for publications and corporations and Seattle photographers with a story-telling approach to creating award-winning wedding photography in Seattle. Orrin Evans plays a very intense piano. Tabbaby simply killed them tonight at Tula’s. A packed soldout house. Great vibe. They will be they again Sunday night so try and catch them if you can. I have just posted this photo and another one from Tarbaby over on the new address for EyeShotJazz at EyeShotJazz.com. Please go there and reset your book mark to get more extensive coverage of the 2009 Earshot Jazz Festival. Photography by photographers in Seattle Daniel Sheehan Photography, a photojournalist specializing in jazz photography and portrait photography for publications and corporations and a wedding photographer in Seattle with a story-telling approach creating award-winning wedding photography. Once again the Earshot Jazz Festival is upon us. Again I intend to provide as complete coverage of the Festival as I can manage. I will be shooting every night and returning home to process and post at least one photograph of each performance every night. Kicking off the Festival at the Triple Door on October 16th this year is the GARFIELD HIGH SCHOOL JAZZ BAND, With SPECIAL GUEST MIGUEL ZENÓN. 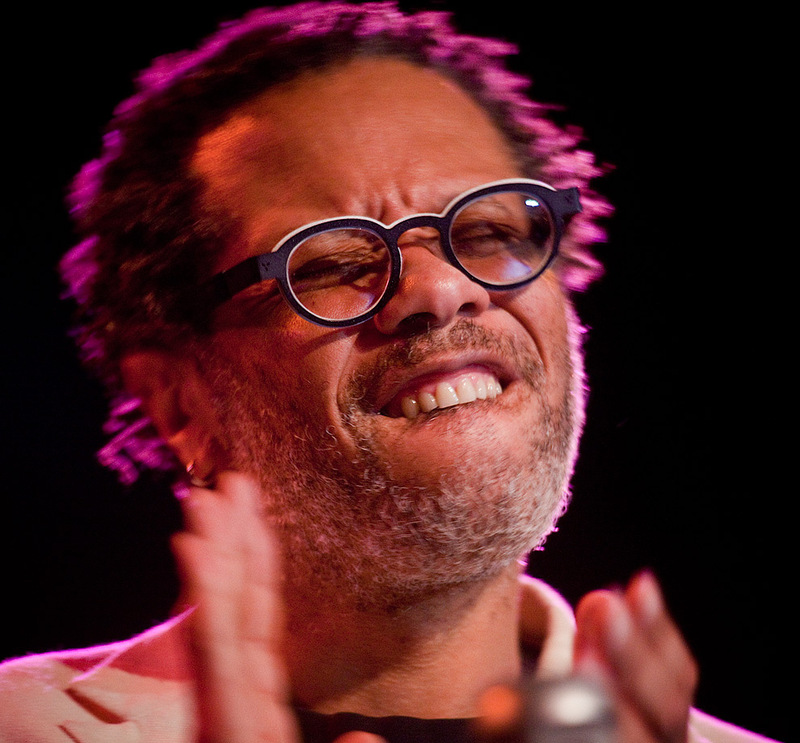 Celebrating the future of jazz in Seattle and around the world, the multi-award-winning Garfield High School Jazz Band under the direction of Clarence Acox opens the 2009 Earshot Jazz Festival with recent MacArthur Award-winning saxophonist Miguel Zenón. The Puerto Rican saxophonist, a brilliant star on the international jazz scene, and the newest faculty member at the New England Conservatory, brings his explosive new group to the main stage for Earshot’s opening weekend. Golden Ear Award winning drummer Byron Vannoy opens with his sterling Meridian quintet. The creative collective of Stacy Dillard (saxophone), Orrin Evans (piano), and one of the most exciting rhythm sections in jazz today – Nasheet Waits (drums) and Eric Revis (bass) – swings with reverence and reckless abandon. October 18ALLEN TOUSSAINT QUARTETThe Triple Door, 7 & 9:30$26 BUY ONLINEAn unforgettable evening with a true New Orleans legend. A Rock & Roll Hall of Fame inductee as a singer, pianist, producer, and composer, Toussaint presents his quartet of Renard Poche (guitar), Roland Guérin (bass), and Herman LeBeaux (drums). Matt Wilson’s raucous New York quartet joins one of Seattle’s award-winningest high-school jazz bands. Drummer Han Bennink, one of Europe’s most singular jazz artists, teams with longtime colleague Michael Moore (sax) and Brooklyn-based accordionist Will Holshouser to perform fast-paced, witty improvisations reminiscent of the late, lamented Clusone Trio. Funk and finesse from the time tested trio of Joe Doria, on Hammond B-3, Andy Coe on guitar, and D’Vonne Lewis on drums. Trio M is a collective of Mark Dresser (bass), Matt Wilson (drums), and Myra Melford (piano). Thanks to thrilling and unpredictable interplay, says Wilson, “the results are spiritually rewarding and remarkably fun to witness.” (Preceded at 7pm by a presentation of filmmaker Sarah Jane Lapp’s Animated Jazz Experiments with live music by Mark Dresser. Separate admission through NWFF; film patrons who bring stub to the concert receive half off concert admission.) Presented in association with Cornish College of the Arts. The Seattle trumpeter and educator, an artist deserving of greater exposure, performs in support of his acclaimed Origin release, Dark Wood, Dark Water. His band features Slovakian pianist Michal Vanoucek, winner of the prestigious Deloitte Jazz Award in The Netherlands. film stub to receive half off concert admission. Further explorations of Cuban pianist Omar Sosa’s charming musical spirit. Now living in Barcelona, his latest release, Across the Divide, explores further aspects of the African Diaspora. He performs on piano, Fender Rhodes, electronics, and vocals in a virtuosic, multinational quartet: Childo Tomas (Mozambique) on electric bass, kalimba, and vocals, Marque Gilmore (USA) on drums and electronics, and Mola Sylla (Senegal) on vocals, mbira, xalam, and kongoman. Seattle pianist Marc Seales shows the breadth of his current artistic projects with The Paris Suite featuring Evan Flory-Barnes, Larry Barrileu, and D’Vonne Lewis on Wednesday, and the American Songbook group with Gary Hobbs, Dave Captien, Cuong Vu and Fred Hamilton on Thursday. Well known for his work with Chet Baker, Cannonball Adderley, and Phil Woods, pianist Hal Galper brings crazy chops and a lifetime of jazz knowledge to each new project. As on the outstanding disc,Furious Rubato, he points to new directions for jazz with drummer John Bishop and bassist Jeff Johnson. Joyfully embracing jazz after a classical performance education, Sung has the background to fuel her engaging explorations and to attract top-flight sidemen like Adam Cruz on drums and Reuben Rogers on bass. Partnering ancient Mongolian and Japanese traditions, the Khoomei Taiko Ensemble presents cultural history while forging rare musical pathways. The Seattle trumpet ace brings a brilliant line up — including Mark Taylor, Matt Jorgenson, and Travis Shook – to bear on some of his favorite, though seldom performed, compositions. The dazzling pyrotechnics and musical maturity of the Kyrgyz post-bop piano prodigy Eldar Djangirov have awed the jazz world. His trio with Armando Gola (bass) and Ludwig Afonso (drums) is touring in support of a new CD, Virtue. The endlessly inventive bassist, composer, singer, and bandleader incorporates elements of soul, rock, jazz, funk, and hip-hop to express “the love I’ve felt and the energy I’m surrounding myself with.” She possesses a deeply expressive musical perspective and a fierce intelligence. The Washington Composers Orchestra presents an evening of music specially suited for the gorgeous acoustics of the Chapel Performance Space at the Good Shepherd Center. Approaching the traditional jazz big band as a “pocket orchestra,” this evening’s program will feature four extended compositions by composer Robin Holcomb, Wayne Horvitz’s concerto for clarinet “River of Whiskey,” featuring guest clarinetist Beth Fleenor, and Chris Stover’s “The Murderess.” The program will also include the Seattle premier of “Laredo,” written for saxophone quartet by Robin Holcomb, and commissioned by the Rova Saxophone Quartet. Presented in association with Nonsequitur. An all-star touring quintet of Hadley Caliman (sax), the legendary Curtis Fuller (trombone), Larry Vukovich (pianist), Jeff Chambers (bass), and Eddie Marshall (drums) returns home to tribute its Seattle-based front man. With special guest appearances by friends and Seattle jazz luminaries. A favorite on the East Coast jam-band/avant-jazz circuit, this 31-year-old keyboardist has attracted new audiences with his impressive improvisational skills, a no-genres-barred musical approach, and a globe-trotting touring schedule. The Seattle-based jazz ensemble features four fine young musicians in Art Brown (alto sax), Aaron Otheim (keyboards), Tim Carey (electric bass), and Tarik Abouzied (drums). Hardcoretet infuses deep grooves with plenty of heat. The brilliant French horn player and composer Tom Varner leads his tentet through a fiery and unpredictable set. Opening: high schooler Andy Clausen and Sjenka, who impressed an audience at Earshot’s Second Century series with fully evolved ambient-improvisations. The youngest of the Marsalis clan, Jason is an immensely talented and musical percussionist. In his current quartet, he sticks to the vibraphone, which he began performing on eight years ago. The percussionist John Hollenbeck’s genre-defying Claudia Quintet (bassist Drew Gress, saxophonist Chris Speed, vibraphonist Matt Moran, and keyboardist Ted Reichman) returns to Seattle with driving rhythms, beautiful and quirky melodies, and passionate virtuosity. One of the most original and enjoyable small groups performing today! Just added: the brilliant and versatile keyboardist Gary Versace joins the Claudias. Opening: the astonishing composer and saxophonist Steve Lehman demonstrates how expansive a solo performance can be. The astounding Achim Kaufmann (piano), Frank Gratkowski (alto saxophone & clarinets), and Wilbert de Joode (bass) incorporate aspects of contemporary classical music, free improvisation, and the jazz tradition with enormous sympathy, dexterity, and power. Presented with Polestar. The iconoclastic Brazilian percussionist, and recent movie scene-stealer (Rachel Getting Married), stretches out in a perfect Day of the Dead celebration. His exuberant band mixes voices and instruments from a dizzying array of cultures, creating a thrilling spectacle for eye and ear. The master pianist, flutist, and composer, beloved for his musical playfulness and stunning dexterity, performs contemporary Brazilian music with his exciting quintet – among its members is the thrilling saxophonist Harvey Wainapel. The extraordinary reedman Don Byron presents his Ivey-Divey quartet of Edward Simon (piano), Kenny Davis (bass), and Billy Hart (drums). Infused with Byron’s characteristic innovation and technical mastery, the quartet tackles the repertory and spirit of jazz great Lester Young. This presentation has been made possible with support from Chamber Music America’s Presenting Jazz Program, funded through the generosity of the Doris Duke Charitable Foundation. Wayne Horvitz’s new chamber-music work, These Hills of Glory, performed by soloist Carla Kihlstedt (violin) and the Odeonquartet, a world-renowned chamber group featuring Seattle Symphony musicians. Also featured are pianist Cristina Valdes, flutist Paul Taub, and Seattle Symphony clarinetist, Laura DeLuca. Presented by Seattle Symphony. An organ trio for the ages. Three of Seattle fiercest improvisers in a funkified format. City Hall, noon FREE Co-presented by Seattle Presents, Seattle Office of Arts & Cultural Affairs. This scalding-hot jazz sextet, featuring players from Japan and Seattle, wowed audiences when it made its Seattle debut at City Hall three years ago. The double trio returns for another evening of genuine collaboration with Atsushi Ikeda (alto sax), Yasuhiro Kohama (tenor sax), Daisuke Kurata (drums), Jay Thomas (trumpet), John Hansen (piano), and Phil Sparks (bass). Accompanying the six players will be some star Cornish College jazz students. A vital voice on the contemporary NY scene, the Canadian-born pianist presents her Stone Trio featuring Tyshawn Sorey on drums and Ingrid Laubrock on saxophone. Davis’s music is winding and darkly energetic – an original voice you’ll want to hear. One of the most renowned and influential guitarists of his generation continues to amaze audiences the world over with understated and harmonically rich playing. His celebrated quartet features Drew Gress (bass), Mark Feldman (violin), and Anthony Pincotti (drums). Three all-time giants of jazz – Andrew Cyrille (drums), Reggie Workman (bass), and Oliver Lake (saxophones) – form one of the most dynamic and exciting small groups performing today. Veterans of some of the most significant ensembles of the last half-century, they navigate through explosive performances with a shared understanding of the power of improvisation. With support from WESTAF and the NEA. Presented in association with Cornish College of the Arts. The Swiss reedman, one of the most fearless improvisers in the music, produces a rich mix of jazz, contemporary classical, and folk forms. Following his solo bass clarinet performance, Paul Kikuchi appears with his quartet – trombone maestro Stuart Dempster and fellow percussionist-instrument makers Alexander Vittum and Jesse Olsen. Special appearance by Bothell High School jazz choir. Pacific Northwest favorite Greta Matassa is a winner of wide acclaim and a consistent crowd pleaser with her unique and diverse vocal stylings. Performing with three other talented jazz musicians, she will charm and entertain the Northshore audience. She’ll also invite local high-school jazz choirs to take part in a master class and sing onstage with her in an exciting fusion of established and upcoming talent! Sponsored by Shane Kramer & Kirstin Haugen and Paula Peterson. Celebrating the historic musical kinship of Quincy Jones and the great Ray Charles, this project focuses on the body of work that yielded the pivotal recording, Genius + Soul = Jazz. Ably handled by the Seattle Repertory Jazz Orchestra with special guest vocalist Dean Bowman, the performances also features guest organist Joe Doria, commemorating Charles’s debut recording on Hammond B3. This project has been made possible by the NEA as part of American Masterpieces: Three Centuries of Artistic Genius, and includes open rehearsals and additional large and small ensemble performances, along with panel discussions and outreach programs. The extraordinary, quicksilver trumpeter calls on some of New York’s finest improvisers – Tony Malaby (tenor sax), Andy Milne (piano), Ben Street (bass), and Mark Ferber (drums) – to carve out space among jazz, pop, and contemporary classical music. The Seattle bassist and composer presents his large-ensemble fusion of jazz, hip hop and classical music, complete with modern dancers and freestyle breakdancers. Commissioned as part of a national series of works from Meet the Composer’s Commissioning Music/USA program. This is the start of the eyeshot jazz photo blog where I intend to post photographs of jazz musicians taken at various venues around Seattle, especially during the upcoming 20th anniversary edition of the Earshot Jazz Festival. The reigning champion of Lincoln Center’s Essentially Ellington competition, the Roosevelt Jazz Band opens this edition of the Earshot Jazz Festival with special guest, the expressive, versatile, and gifted trumpeter Sean Jones. Together, they celebrate Seattle’s place in the great continuum of jazz. Seattle-favorite drum legend Jerry Granelli presents his ambient/improv/free roots’n’blues-chamber-jazz quartet. With slide-guitar ace David Tronzo and German guitarist Christian Kögel electrifying the front line with the drummer’s bassist son, J. Anthony Granelli. The driving quartet of two star alums of the vaunted Garfield High jazz program, trumpeter Tatum Greenblatt and alto saxophonist Ben Roseth, now rising stars out east. The stellar Dutch trumpeter’s trio features astounding guitarist Anton Goudsmit and pianist Harmen Fraanje. They range from cutting-edge jazz to hymns with virtuosity, warmth, and wit. Bang’s bluesy, emotive style stands among the most compelling and enjoyable in jazz. Seattle’s one-of-a-kind deep-string artist, Paul Rucker, opens with his new ensemble. Norway’s acclaimed saxophonist teams up with three veterans of the New York scene. She creates music of lyrical beauty and rhythmic surprise with Toronto pianist Kris Davis and drummer Jeff Davis. Continuing this year’s Langston Hughes collaboration, spoken-word artist Paul Harding pursues truth with an arresting posse of Seattle jazzers including saxophonist Eric Barber. Fast-rising bassist Flory-Barnes opens with Josh Rawlings on piano and Jeremy Jones on drums. The thunderbolt blues guitarist, schooled in jazz-rock, down-country blues, and much else, tears it up. The quartet of returning Seattle-reared standouts Carmen Staaf (piano) and Josh Deutsch (trumpet/flugelhorn) blends folk melody, South American grooves, and New Orleans spirit into forward-thinking jazz. Marilyn Crispell’s solo piano performances feature both lush melodicism and volcanic eruptions of focused energy, and guarantee enchantment. Opening, and later joining Crispell, is the duo of premier European percussionist Paul Lytton and NY trumpeter Nate Wooley. Critically acclaimed Jazz French horn pioneer Tom Varner premiers new works for his forward-looking quintet. Mark Taylor and Eric Barber on saxophones, Phil Sparks on bass, and Byron Vannoy on drums. The performance is part of Seattle Presents, a year-round series of free performances at City Hall presented by the Mayor’s Office of Arts & Cultural Affairs. Directions and more information are available at seattle.gov or by calling 206-684-7171. Seattle’s maturing prodigy returns from New York with drummer Eric Harland and bassist Matt Penman on the heels of their acclaimed Blue Note release, Invisible Cinema. The acclaimed trombonist, composer, arranger, and educator Wycliffe Gordon performs his hard-swinging, straight-ahead jazz with a high-school ensemble that rates among the nation’s very best. The cornetist presents a tribute to his longtime boss, the late Seattle saxophone legend Don Lanphere. This retrospective focuses on the work of Lanphere’s classic quintet of the 1970s and 1980s. The Iraqi-American trumpeter, vocalist, and santoor (hammered dulcimer) player has brought the microtonal ornamentalism of traditional maqam music into jazz. His internationalism bears intense, arresting fruit with New York stars Rudresh Mahanthappa (sax) and Nasheet Waits (drums). The keyboardist’s gifted quintet work deep grooves and rich textures from a blend of funk, hip-hop, and jazz. With poet John Moon, saxophonist Loren Stillman, bassist Chris Tordini, and drummer Kenny Grohowski, he re-draws the boundaries of jazz. The great piano innovator and NEA Jazz Master plays with astounding technique, fierce intelligence, and unparalleled force of expression. He returns for another unforgettable solo performance. Celebrated San Francisco vocalist Madeline Eastman and local legend Bill Ramsay and his Birth of the Cool Nonet headline an afternoon of national and regional all-stars. The standout alto saxophonist, who becomes more seasoned and compelling each year, celebrates his new CD. Graewe, the prodigiously talented German pianist, an avant-garde leading light, returns for a riveting solo recital. Opening: local adventurers Gust Burns (piano, altered keyboards) and Greg Campbell (percussion, French Horn). Apfelbaum’s reformulated Hieroglyphics Ensemble, a tentet now based in New York, performs the original piece Aural Histories, composed with a Chamber Music America/Doris Duke Foundation grant. In each of the piece’s sections, a band member improvises over a composed background while Malian griot Abdoulaye Diabate sings a narrative of that particular musician’s life. Not to be missed! The outstanding multihornman is in demand nationwide and leads one of the most evocative small groups in Seattle jazz. Dazzling audiences at the intersections of jazz, pop, afro-beat, and funk, the in-demand bassist is a master musician and storyteller. The outstanding bassist and vocalist leads his own outstanding ensemble. The winner of the 2007 Thelonious Monk Trumpet Competition is a rising star. Performing in support of his debut disc Prelude: To Cora, the in-demand hornman draws inspiration from all over: Chopin to Björk. 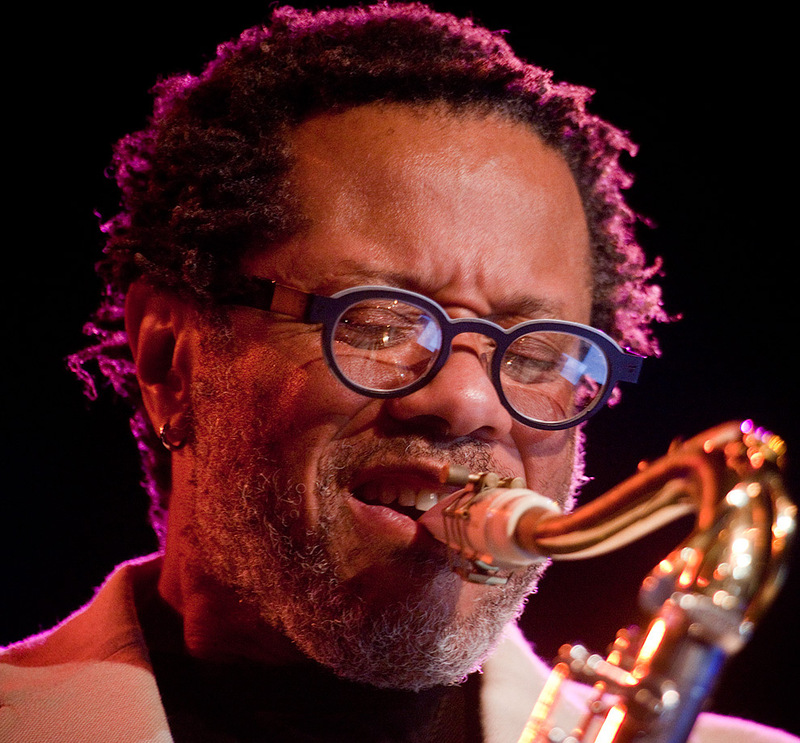 To salute the late Floyd Standifer, for decades a Seattle jazz fixture – influential, talented, and admired – the new lineup of the band he headed for 20 years at the New Orleans Creole Restaurant salutes him. Joining drummer Clarence Acox’s quartet are alumni including guitarist Robin Kuntz. The inventive, virtuosic, and accessible pianist, touring in support of his new release, Catalysis (Sunnyside Records), presents his forward-looking vision for jazz with percussionist Adam Nussbaum and bassist Jay Anderson. A concert events of the decade! One of the most significant bassists in jazz performs with his adventurous, politically charged big band of NY all-stars. Their performance features arrangements and compositions of Haden’s longtime colleague and friend, Carla Bley. The all-star big band welcomes the legendary saxophonist, flutist, and NEA Jazz Master, James Moody, and explore the rich history of his work. During his visit, Moody conducts an open rehearsal/workshop. (This event is supported by NEA Jazz Masters Live, an initiative of the National Endowment for the Arts in partnership with Arts Midwest.) $15-$38 general available directly from SRJO at 206-523-6159 or via the links above. The young pianist’s trio with Slawomir Kurkiewicz and Michal Miskiewicz, mentored by Polish compatriot trumpeter Tomasz Stanko, has quickly become one of the most invigorating ensembles in modern jazz. ROVA’s Larry Ochs (sopranino & tenor sax) leads an all-star trio with percussionists Scott Amendola and Don Robinson augmented by special guests from Tokyo, pianist Satoko Fujii and trumpeter Natsuki Tamura. Their joyous music draws on songs of American and Eastern European blues-shouters and the traditional chanters of Asia and Africa. This raucous night of free-blowing jazz funk kicks off a 20-year retrospective of Seattle-resident master keyboardist Wayne Horvitz. Tonight, it’s the scorching Pigpen and deep-groovin’ Zony Mash, augmented with an all-star horn section. During a three-night series, Horvitz will call on national stars like Bobby Previte, Ron Miles, Briggan Krauss, Skerik, and Doug Weiselman. The dynamic and charismatic vocalist honors her mother, music icon and pioneer Nina Simone, performing in support of her break-out debut album “Simone on Simone.” Presented by Northshore Performing Arts Center. In the second of three evenings of the Horvitz retrospective, the keyboardist welcomes trumpeter Ron Miles and drummer Bobby Previte to advance the legacy of Horvitz’s memorable trio with Previte and cornetist Butch Morris. Robin Holcomb shares the bill in reprise of her landmark release. Horvitz presents NY Composers Orchestra West, an amalgamation of Seattle and New York players, and a reprise of his early New York band, The President (just in time for the election). Opening: an adventurous big band of Garfield High School alumnus Sam Gray. New York trumpeter Steven Bernstein’s fine nonet explores the neglected music of the bluesy territory bands; here, they accompany three Laurel & Hardy silent-movie classics. Steeped in the jazz tradition, this rising vocal star and Seattle native is nonetheless willing to engage with the music of her own generation. Presented by Kirkland Performance Center. The New York guitarist’s dazzling technique and unique harmonic approach have led him to collaborations with Chet Baker, Sarah Vaughan, Bob Brookmeyer, Buddy Rich and many others. Presented by Kirkland Performance Center. Performing solo on the kora, a West African 21-string harp, the Malian is among the most renowned, imaginative instrumentalists alive. Photographers in Seattle Daniel Sheehan, a photojournalist specializing in portrait photography for publications and corporations, and a wedding photographer at A Beautiful Day Photography with an unobtrusive, story-telling approach, creating award winning wedding photojournalism, is ranked one of the best bridal photographers by the National Association of Wedding Photojournalists.